The sequel to the New York Times Best selling phenomenon, Hush, Hush! Nora should have know her life was far from perfect. Despite starting a relationship with her guardian angel, Patch (who, title aside, can be described anything but angelic), and surviving an attempt on her life, things are not looking up. Patch is starting to pull away and Nora can't figure out if it's for her best interest or if his interest has shifted to her arch-enemy Marcie Millar. Not to mention that Nora is haunted by images of her father and she becomes obsessed with finding out what really happened to him that night he left for Portland and never came home. #1 I nibbled my lower lip. "If you could see into my past just by touching my back, you'd have a hard time resisting the temptation too." 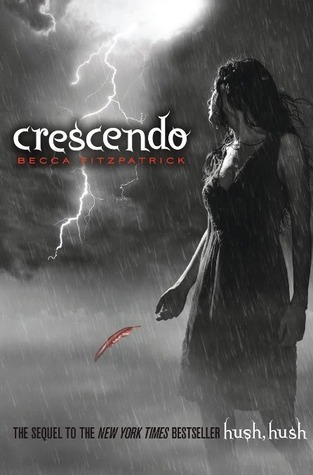 I wouldn't say Crescendo is particularly my favourite book in the series, but it does contain some of my top favourite scenes between Patch and Nora. Patch definitely has less of a presence in this book (which is common in sequels....for some reason authors just love taking our fictional crushes away from us :'( Nora also has to start taking matters into her own hands in this book- giving her a bit of independence and separation from Patch. Although there were times I was a bit annoyed with Nora, it didn't take anything away from my personal enjoyment of the book. Hush Hush was, and continues to be, one of my favourite series- and Crescendo didn't let me down. In fact, it ends with a huge cliffhanger that left me completely frustrated over the long wait I had to endure for book three! What did you think about Crescendo? Are you a fan of the Hush Hush series?! 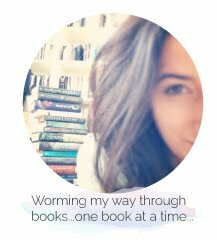 Be sure to let me know in the comments :) Keep Reading! 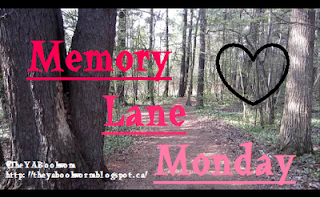 Read my Memory Lane Monday for HUSH HUSH, here! I know :( It feels like all of my ultimate favourite series are coming to an end ! I love this series! Awesome picks for the quotes - Patch has a way of wreaking some serious butterflies-in-the-tummy havoc.